Imbolc is one of the Great Sabbats in the Celtic Wheel. It’s theme is Mother Earth coming back to life after the dark winter months. The God was reborn at Yule and the sun is now a young man. Traditionally Imbolc is celebrated as a fire festival, representing the light returning to the world. The Celtic Triple Goddess Brigid is the representation of this Sabbat. She is the Goddess of spring and flowers, with the snowdrop as her representation of life returning above the ground through the frost and ice. In this workshop Alphedia took you on an Imbolc ritual to connect with the Goddess Brigid. Lighting candles and holding a sacred ceremony around an open fire to honour the Goddess in her maiden stage. Alphedia will teach you about the Sabbat, the magical tools and take you on a journey through guided meditation to connect with the Goddess Brigid. Alphedia will channel a message from Brigid and you will set your positive intentions for the year forward and in a sacred ceremony ask Brigid for her support in giving life to them. 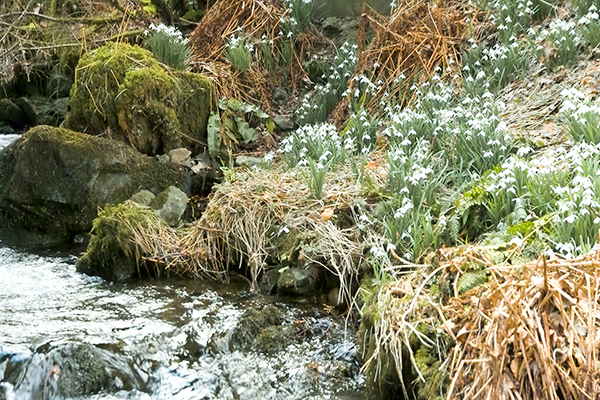 We will also work with the snowdrop fairies as the snowdrop is the flower of this Sabbat.